Aluminium alloy Standard Protective Frame Housing is compatible with GoPro Hero 5 session hero 4 session models. Easy to use and remove. 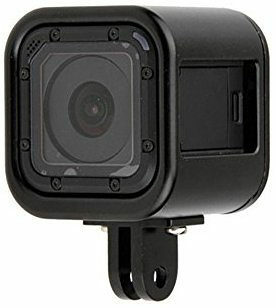 Protecting your GoPro Hero 5 session hero 4 session Camera in front, scratching and dents. The Ultra Compact Mount makes it so simple to use, all you your hero session to put on.